‘. . . and quardle oodle ardle wardle doodle, the magpies said . . . ‘ Denis Glover. | Sally says . . . eat, sleep, work, read, play, draw, bark . . .
← ‘The dog is the perfect portrait subject. He doesn’t pose. He isn’t aware of the camera.’ Patrick Demarchelier. ‘. 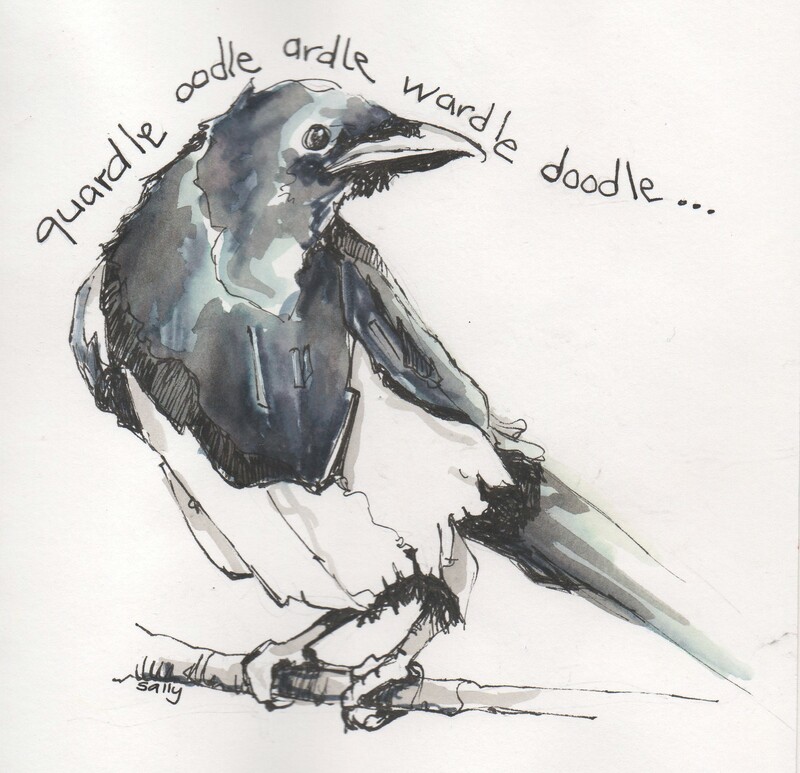 . . and quardle oodle ardle wardle doodle, the magpies said . . . ‘ Denis Glover. Tap, tap. Tap, tap, tap. I know what it is before I even look up. There’s a big fat magpie baby peering through the office door . . . He steps back and looks up expectantly. After a moment, unsure, he looks over his shoulder (past his sibling who is hopping from one foot to the other and chortling excitedly) to mum and dad, awaiting further instructions . . . He turns back to the door. Tap, tap, tap. Okay, okay, I give in. Time to raid the college biscuit barrel for a tasty treat for my little magpie family. They seem particularly fond of the custard creams . . .
Nicely done Sal – but I really like custard creams so can you give them something else maybe?